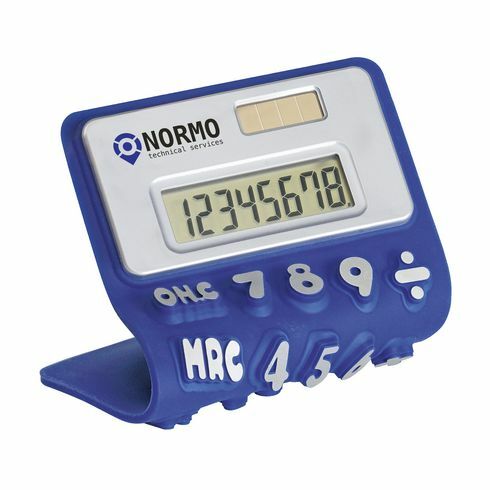 Flexible, rubber calculator with ~ funky silver coloured keys ~ plastic top panel with 8-digit digital display ~ dual power. 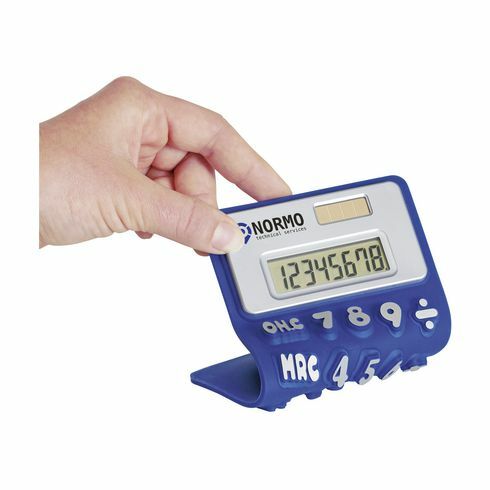 Includes battery and instructions. Each piece in a box.